Fifty years of strikes, bloops, balls and blasts. Photo credit: Scott Kawaguchi. 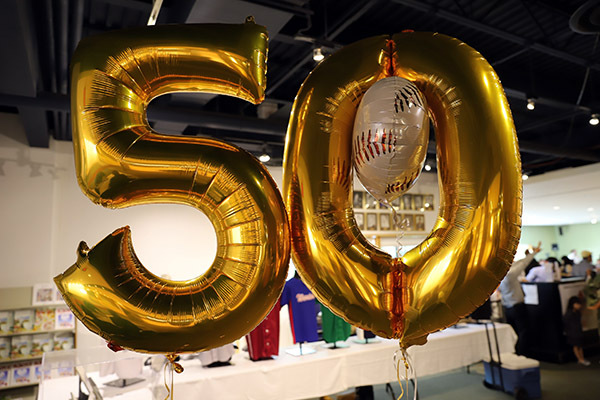 On Sept. 2, as the Japanese Canadian Baseball League (JCBL) celebrated its 50th anniversary at a special mid-season banquet at the JCCC, baseball took a backseat for a week as the league took a moment to celebrate its past and present. 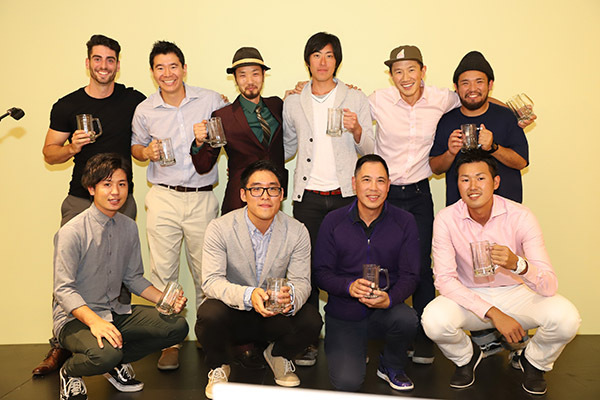 With over 100 current and former players in attendance, along with some of the league’s key founding figures, the evening provided an opportunity not only to recognize this season’s top performers, but also to celebrate what the league has become. 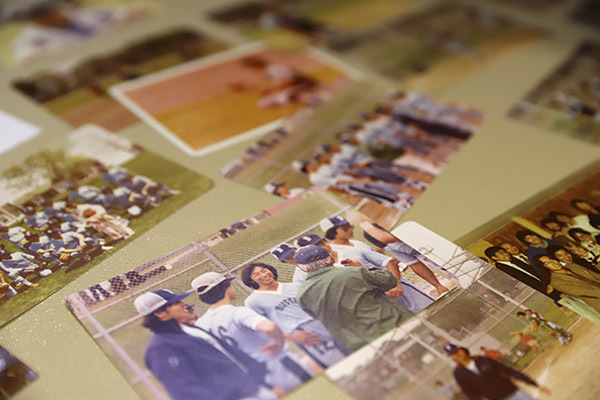 Started by the nisei in the 1967, today, the JCBL is a cross-section of Canadian ballplayers, including a prominent presence of dedicated shin-ijusha (new immigrants). 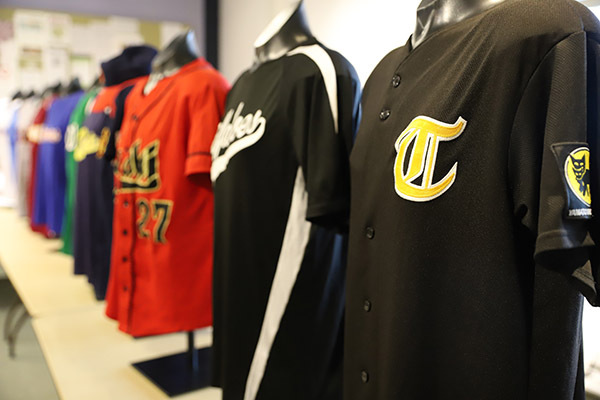 Now with 11 teams, the league has truly grown to serve an important cross-cultural role in the Japanese Canadian community. Yet as much as the league has grown, it still remains true to its roots. It’s still a place for friends to get together to play baseball, for fathers and sons to play as teammates, and a place where sportsmanship and competition meet at home plate. 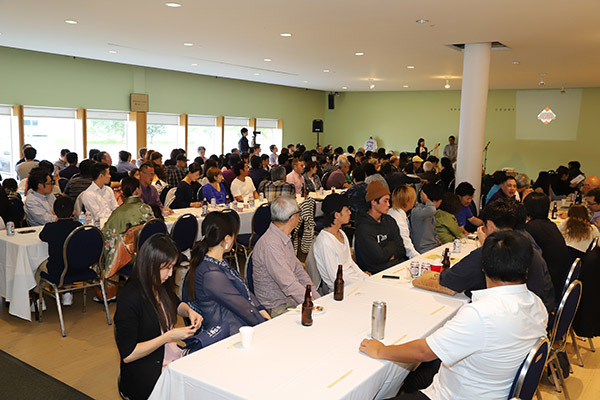 In addition to recognizing MVPs, Most Dedicated and Most Improved players for each team, the banquet featured live music, raffle prize draws, and food from Mye Restaurant and Taro’s Fish. 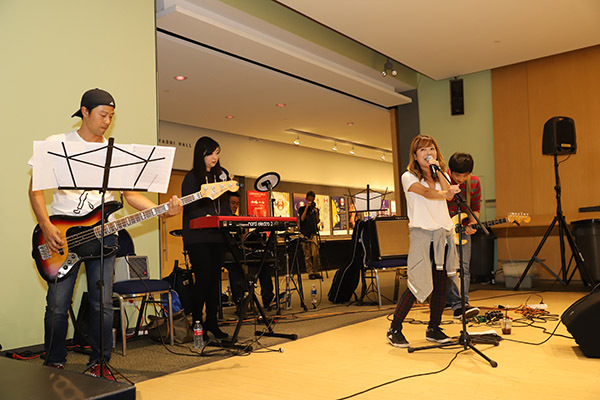 Proceeds went to Momiji Health Care Society. With the playoffs set to start Sept. 17, the focus shifts back to the diamond as all 11 teams will vie for a chance to be named champions in the league’s 50th year. For more info, please visit: www.jcbl.ca. 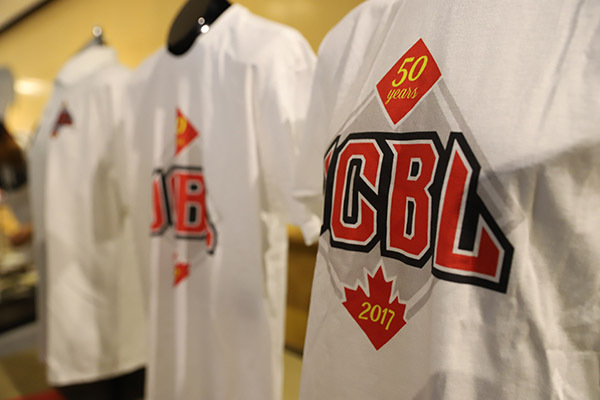 The Japanese Canadian Baseball League celebrated it's 50th anniversary at the end of August. Photos credit: Scott Kawaguchi. The league has grown to include 11 different teams. 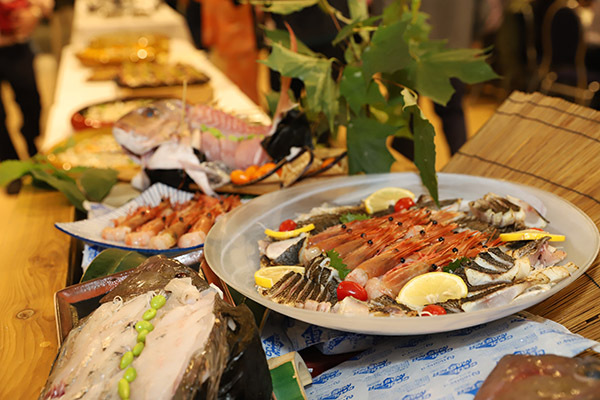 The delicious spread at the banquet. The banquet recognized the teams' MVPs, Most Dedicated and Most Improved players. 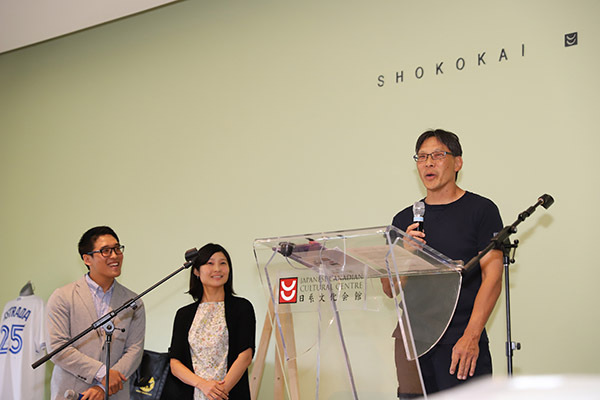 As much as the league has grown, it also stays true to its roots, sportsmanship and competition for the Japanese Canadian community.